BRYAN EATON/Staff photo. 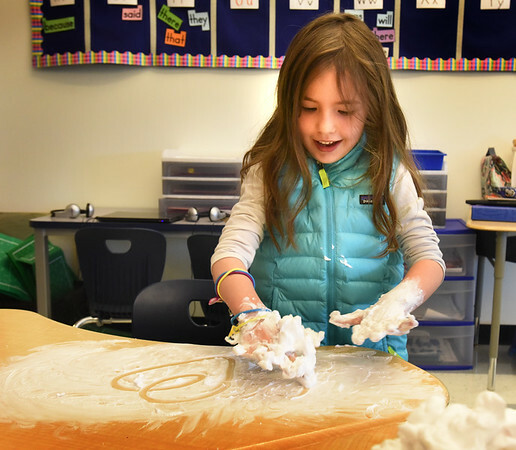 Leah Tarkan, 6, creates designs on her desk using shaving cream to draw in at the Bresnahan School in Newburyport on Tuesday. Teacher Mary Ahern had her students work on their numbers and spelling in a fun way to continue to learn the basics.